We are back with another part of Promoting Bands! This time it also includes two exclusive Dutch premieres. Hope you enjoy the bands in here! On Tuesday March the 26th I went to Het Paard in Den Haag to interview Downfall of Gaia, you can read that interview here. That evening, Downfall of Gaia was the second of three bands to enter the stage. The Ocean Collective was headlining and the Swiss band Herod was the opening band. I already knew The Ocean Collective and Downfall of Gaia a bit more than Herod before I went to that show. I once listened both albums by this band, consisting of Mike Pilat, Pierre Carroz, Bertrand Pot and Fabien Vodoz, but that was all. However, that wasn’t because of the quality of both albums, because both 2014-debut They Were None as well as the recently released Sombre Dessein are both very strong albums that really crush as hell. Both are definitely very much recommended when you dig heavier progressive metal. While both albums already crush quite a bit, when playing live Herod crushes even more. Right from the first moments Herod put on a very strong, extremely pounding show that pulverizes the audience. A phenomenal show that surely is worth to experience. 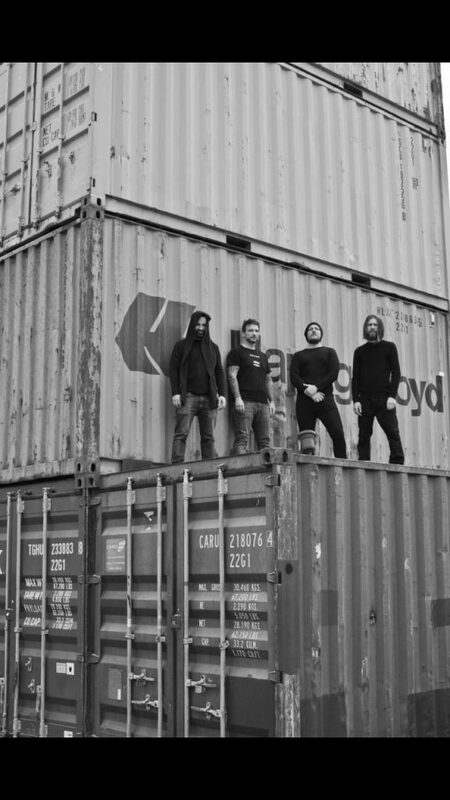 Below you can check Herod’s video for the track called Fork Tongue, coming off Sombre Dessein. Already 36 years ago, in 1983, the Austrian band Circle Creek was formed by twin brothers Chris (lead guitar, vocals) and Didier Zirkelbach (rhythm guitar, vocals). Besides Chris and Didier, Circle Creek’s current line-up also consists of Bernado Beat (drums, vocals) and Gorge P. (bass, vocals). On October the 5th last year Circle Creek released Past Presents Future via NRT-Records. They released it because of their 35th anniversary and as a teaser for their upcoming album called The World Is On Fire. On Past Presents Future, Circle Creek shows different sides of themselves. Some tracks are a bit heavier than others, but Circle Creek constantly shows a bit of a raw edge in their music. However, don’t expect extreme metal or something like that, it surely doesn’t get that heavy. The music Circle Creek delivers is more towards heavy/stoner metal and hardrock, but whatever you want to call it, it is definitely worth checking out! Below you can watch their lyric video for the 2018 version of their track called Going Nowhere. The next band, A Fool’s Errand, is from The Netherlands, Den Bosch to be a bit more precisely. 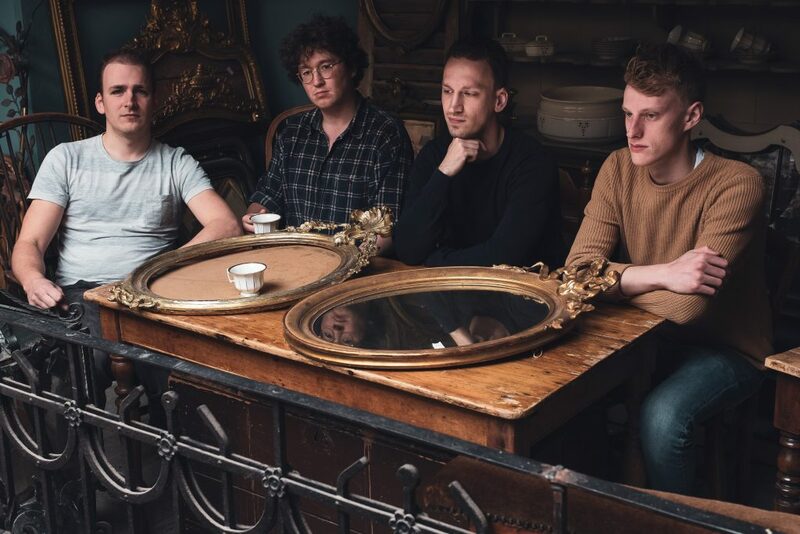 A Fool’s Errand, consisting of bass player/trumpet player Alwin van der Ven, drummer Albert Schuurmans and guitarists Fabian Voskuil and Willem Schuurmans, makes post rock that mostly is instrumental. However, A Fool’s Errand’s post rock surely is very varied, including excesses that can be towards the jazzy side as well as the heavy side. In December 2017 this band released their debut EP, titled Asfaltpuin | Foxboy, which recently got a successor with debut full-length Gravitas. On Gravitas we, for example, hear quite heavy guitars and drums during Deer, which is followed by Icarus with quite a jazzy part, also due to the added vocals by Sarah Cahuasqui. However, later on Icarus we again hear the versatility of A Fool’s Errand with heavier parts and a combination of the two different styles. With Gravitas, which you can listen to below, A Fool’s Errand delivers a very varied, interesting post rock album that surely is recommended to this genre’s fans. 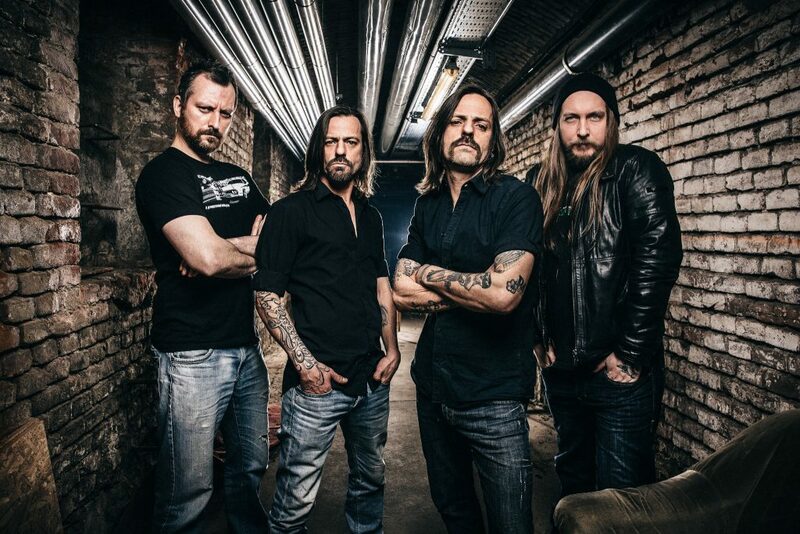 Collide is the new single by the Danish heavy metallers Pectora. It’s a real fast and thrashy heavy metal anthem for all the true headbangers out there ready to get their head blown off when titans and giants collide! Collide is taken from the upcoming album Untaken. Untaken is mixed and mastered by German star producer Sebastian “Seeb” Levermann (Orden Ogan, Rhapsody of Fire, Riot V). In May Pectora will tour Sweden as support for the US metallers Them. Besides that they are also going to play some shows in Denmark and Germany. Untaken will be released on CD, LP as well as digitally through Mighty Music on May the 3rd. DutchMetalManiac is proud to give you the exclusive BeNeLux premiere of Collide‘s video below, alongside Pectora’s upcoming shows. Here you can see our earlier exclusive Dutch premiere of Pectora’s video for Untaken. 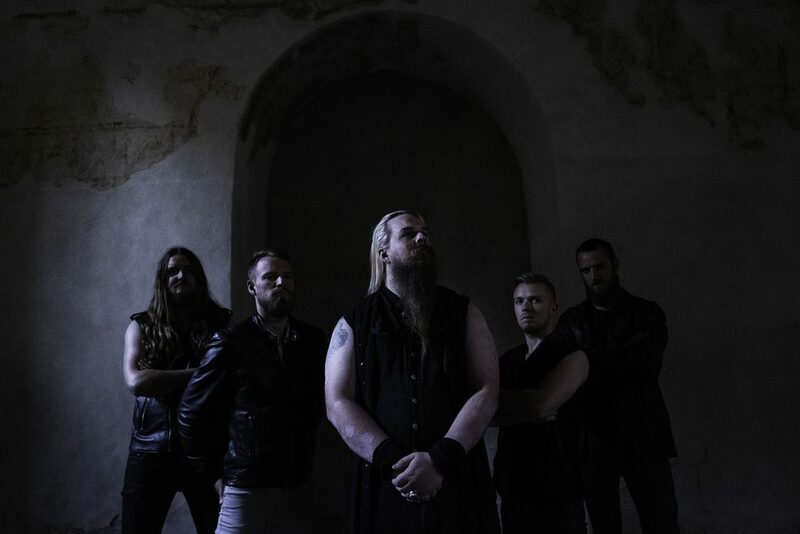 Code of Silence is the new video from the Norwegian black metallers Dominanz. Code of Silence is taken from their third album, titled Let The Death Enter, which was released on March the 22nd through Mighty Music. The record was captured in Øystein G. Bruns’ (Borknagar) Crosound Studio, with the final touch being made by mastermind Dan Swanö at Unisound Studio. Code Of Silence is a lyric video illustrated by live footage. The band comments on the single: “Code of Silence was the very first track we wrote for the album, five years ago. We would like to thank the Catholic Church for their inspiration for this one, and especially Australian “Father Jim”!” DutchMetalManiac is proud to give you the exclusive BeNeLux-premiere of Code of Silence‘s video, which was filmed and edited by Jekabs Vilkarsis, below. 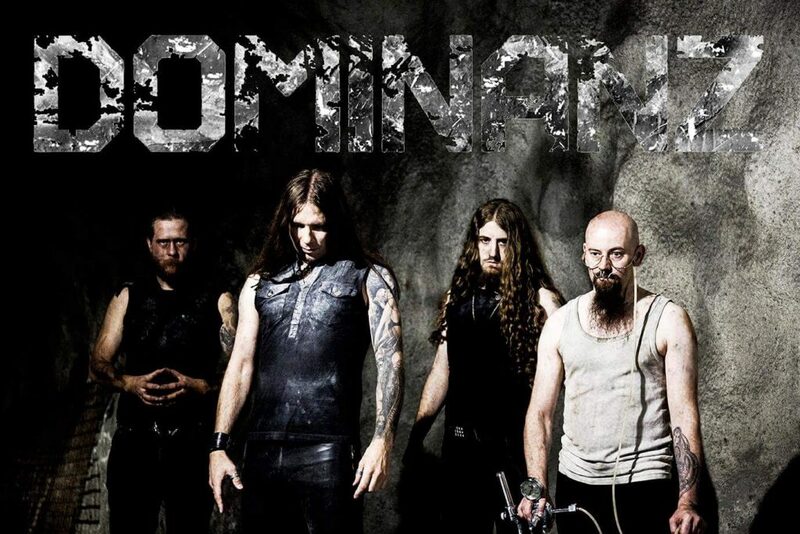 You can also read our review of Dominanz’ Noxious album here, as well as our live review of their show together with Taake and Orkan here.